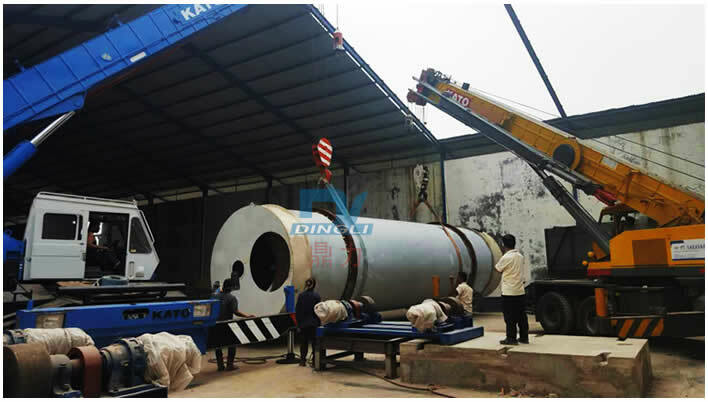 At present, sawdust dryer production line installation and commissioning in Indonesia in an orderly manner, the following are installation site from staff. Sawdust dryer line of production capacity for 3 tons/h in Indonesia, dingli company according to ordered contract for customer provides sawdust drying pelletize sereies of equipment, after in equipment making completed on nonstop of sent to Indonesia, resently equipment installation debugging smooth, is expected to in provides of engineering within completed, after project built, dingli company technicians will for try machine and related of training and provides a station type service. The project of wood drying equipment with large capacity, high efficiency, energy saving and environmental protection and other advantages, providing favorable condition for local biomass energy development, and for the development of enterprises laid a solid foundation, believing through dingli company help, customers in Indonesia in the field of biomass energy to reach the next level.